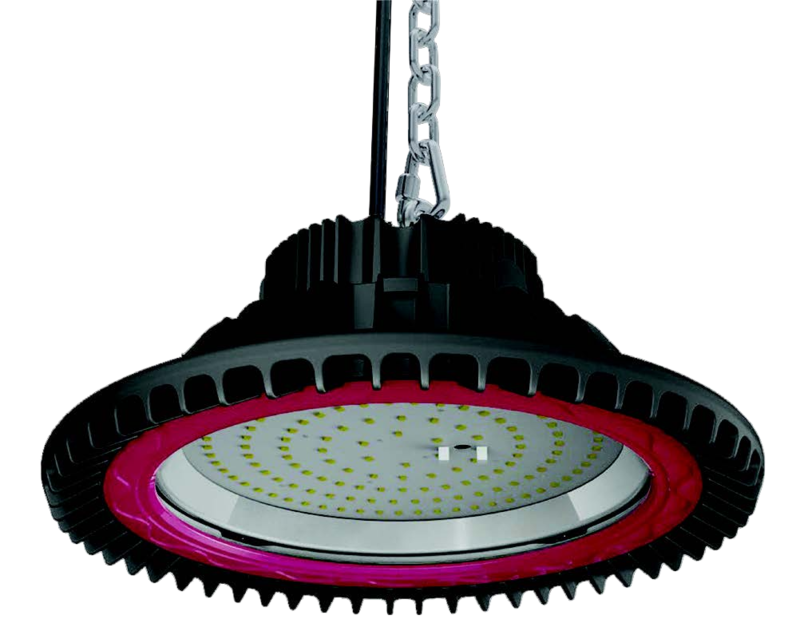 Elegantly designed luminaire to replace traditional 400W High Bay luminaires. Recommended for mounting heights of 6-12m. No exposed glass, so ideal for food staorage. Pre-wired rubber cable for easy installation.